wacie.com Third Year Anniversary Post! Happy Friday, reader! I don’t typically post on Fridays, but today is a special day: it’s the third anniversary of wacie.com! This is a huge day for us, and I couldn’t be more excited to bring you this post. It’s been quite a ride, and I’m so glad you’ve been a part of it. 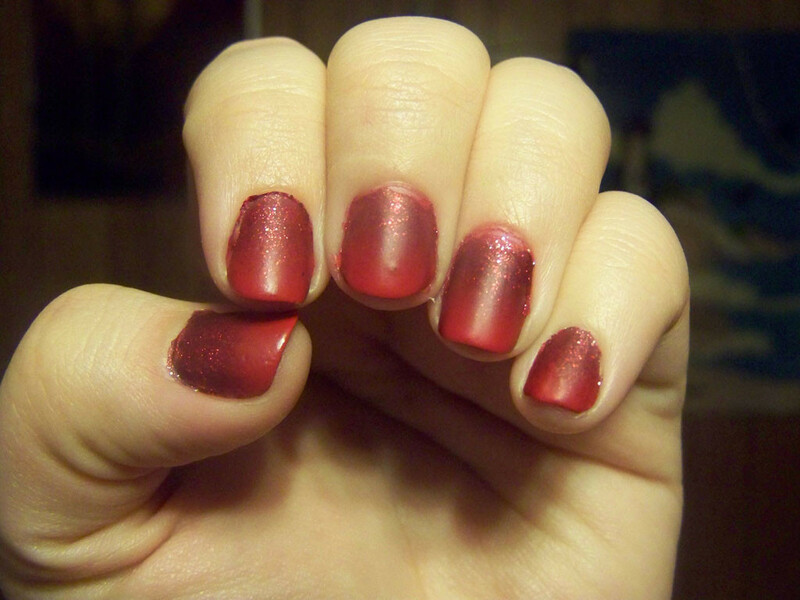 On March 11, 2013, I posted my first-ever Manicure Monday post. I think I’d posted a few posts before that, but as wacie.com became more nail-oriented, I took them down and began to focus on nails exclusively. I’d been experimenting with nail art for a couple of years by the time I started the blog, and actually starting the blog helped me get better at it. My nails look and feel healthier, my application skills have gotten better, and I think the quality of the blog has improved, too. Three years is a lot of time for improvement, after all. In honor of the anniversary, I’ve decided to recreate the first manicure I ever posted. 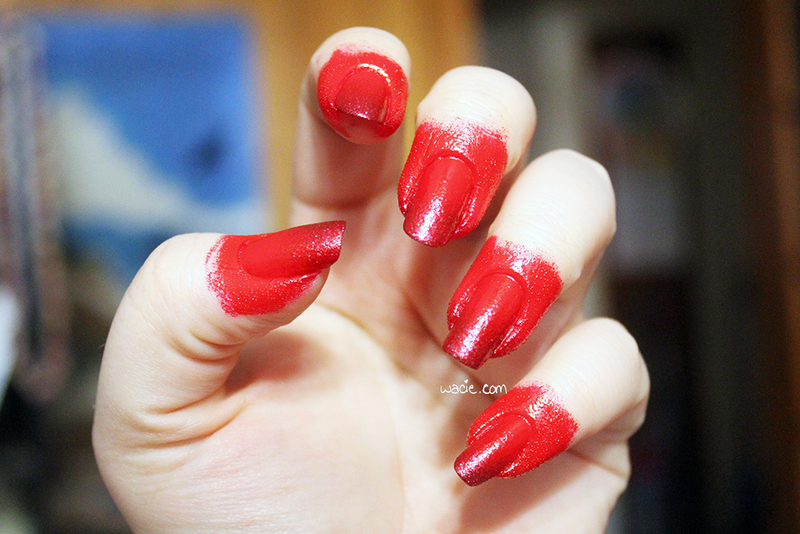 Just like last time, here’s a gradient done with Disney Villains’s Cruella de Vil with a Maybelline mystery red, along with a coat of Seche Vite top coat and Ciaté’s Mattenificent matte top coat. 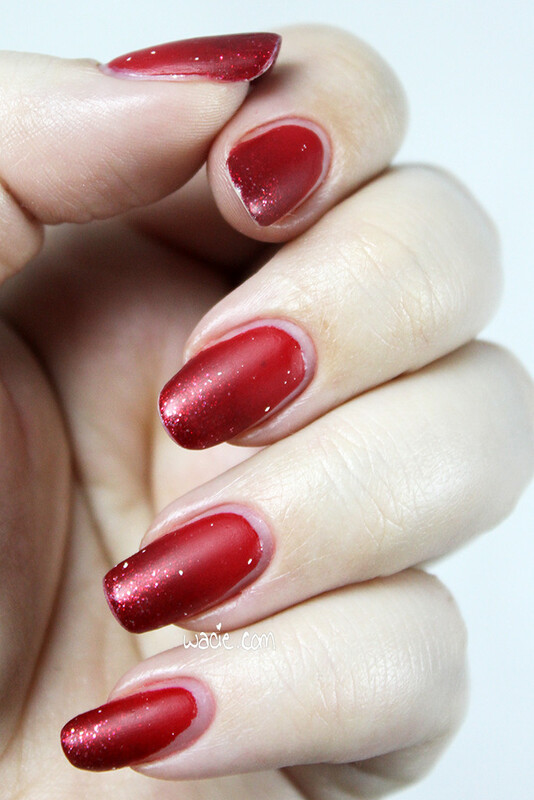 When I go back and read about the early version of this manicure, it sounds like I had a hard time with it; my mystery red was thick as molasses and cleanup was a challenge. I had just as much trouble with it this go-around. I’d thinned the mystery polish — polish thinner is something I’ve discovered since I did that manicure — but I still had trouble sponging it on. I didn’t get the contrast I got last time. I ran out of foam eyeshadow sponges I usually use for gradients and had to use the foundation blending sponges, which not only made my hands look like I’d committed a horrible crime, but made cleanup a huge ordeal. On top of that, because I did the mani from memory before I looked at the old post, I see I got the colors in the wrong order. I’m not even mad about that, because meh, close enough. What really gets me is that the matte coat left those white spots on my nails again. The manicure looked great — exactly like the first time should have looked — until I applied the matte top coat. I was so frustrated and upset that I just threw it away. I hate tossing a nearly-full product, but I just can’t let it ruin any more manicures. I thought about redoing them, but decided I’d just leave it, as a sort of humble reminder of where I came from as a blogger. No matter how long I keep this blog, I’ll always have room to improve. Maybe on my fourth anniversary, I’ll finally get it right. Here are some sunlight photos; it rained the last time I did this mani. In the sun, the glitter is a bit invisible, but still manages to sparkle a bit. Between swatches and Manicure Monday looks, I’ve worn Blue-Eyed Girl Lacquers 108 times. Essie is my most used mainsteam polish brand at 42. Blue is my most used color. I now own more than 1,400 bottles of polish. Thank you so much for making it this far with me. Thank you so much for making this blog more than a hobby, but a means to cultivate friendships, foster creativity, and strengthen a community where we all can grow together. Thank you so much for being a part of the last three years. One polish was purchased myself. The other was a gift, not sent for consideration or review. wacie.com Two Year Anniversary Post! Today is the second anniversary of wacie.com! 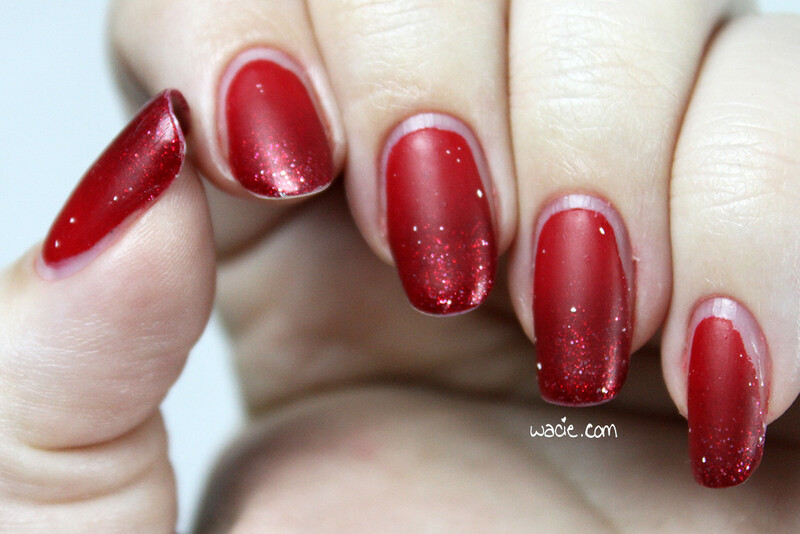 Two years ago, I posted a mani and wrote some stuff about it. I didn’t know what to expect then; it was my first time owning my own domain and really running a website myself. I really had no idea that, two years later, I’d still be doing it. I am amazed that I’ve come this far. Just like I did last year, I want to share some stats and numbers with you to show how the blog has grown and improved in the past year. 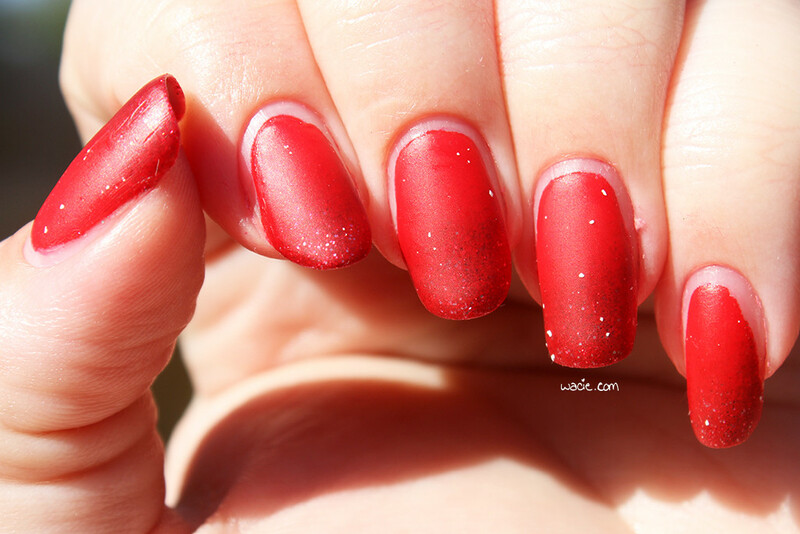 Julep was the brand featured in the most Manicure Monday posts; last year it was Sally Hansen. Blue-Eyed Girl is still the most-swatched brand. 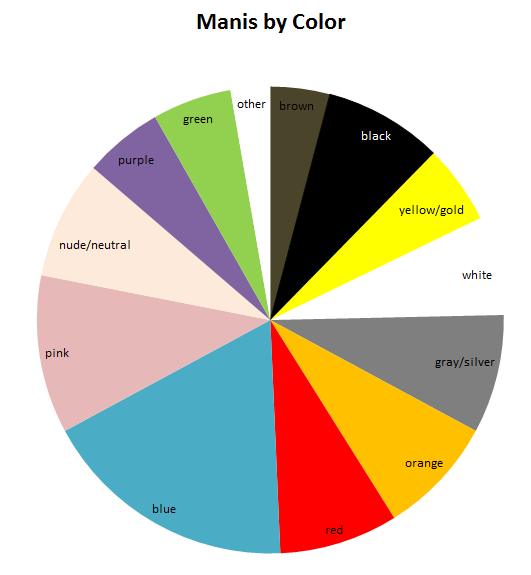 Pink was the most often-used color; last year’s was blue. Gradients are still the most common nail art technique. A lot has changed since last year, so make you look at last year’s post to compare. This year saw a lot more swatches than last year. The swatches even outnumber the Manicure Monday posts now. At this time last year, Swatch Saturday was just getting started and I was only a few bottles in. Wacie Nail Company was still in its very early stages and I was crazy with experimenting. This year saw the introduction of Swatch Sunday and the Summer of Untrieds, which really beefed up the numbers. Indie polishes were used 107 times, way up from the ten or so I used last year. Glitter was used in 92 manicures. 35 manicures used accent nails, mainly swatches of glitter toppers. Last year I estimated 617 bottles in my collection; this year I count 987, which means I’ve purchased 390 polishes since March 2014. The next year of wacie.com is going to be really exciting. I hope that you, dear reader, will stick around to share it with me. Today is the one year anniversary of wacie.com! 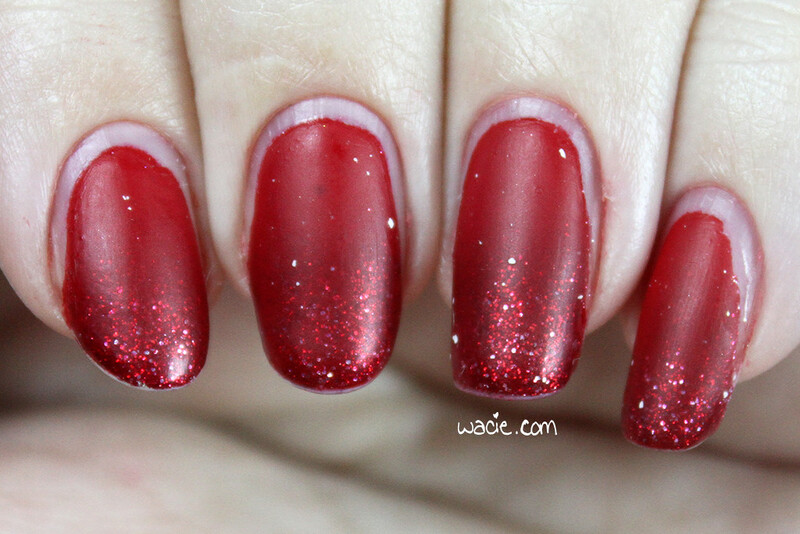 I can’t believe I’ve been sharing my polish obsession/calling for help for an entire year. A lot has happened since I started doing this. I bought a ton of nail polish, I started my own brand, and I’ve made a lot of awesome friends in the nail blog community. It’s been a fantastic experience. 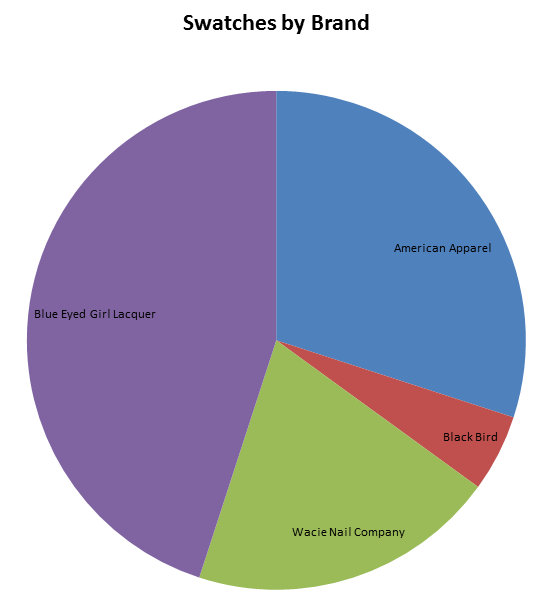 To celebrate, I’ve compiled some stats about the blog, made some charts, and decided to post them for all to enjoy. Yeah, I am wicked fun at parties. 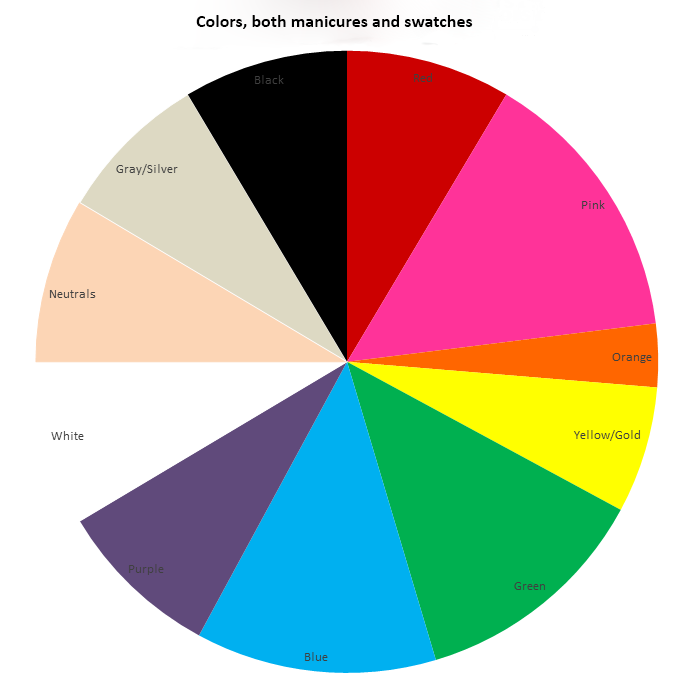 Sally Hansen is the most often used brand, being used in a total of 16 different manicures. Blue Eyed Girl Lacquer was the brand swatched the most times. Blue was the most often used color, and gradients were the most frequently used nail art technique. Here are the graphs! Glitter was used in 63% of all manicures. 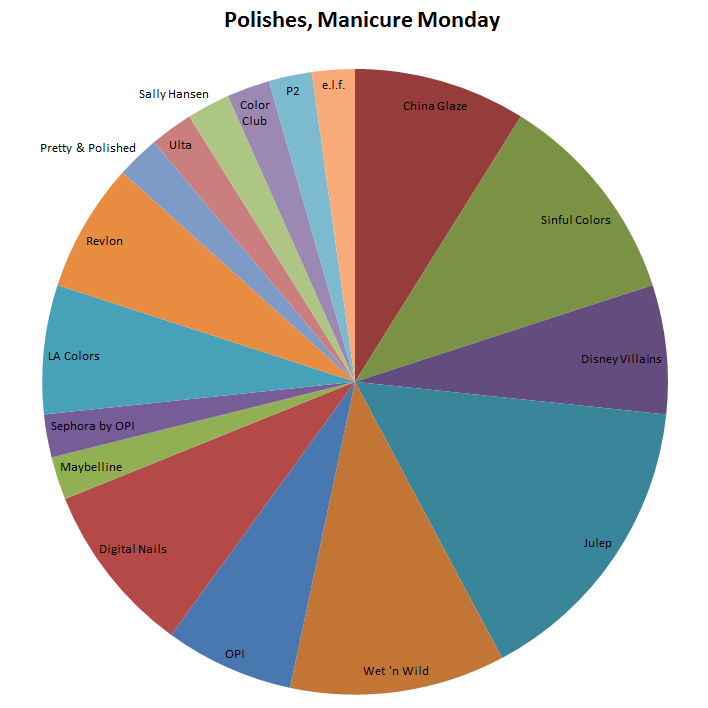 22% of the polishes featured on the blog were made by indie brands. Four of them I made myself. 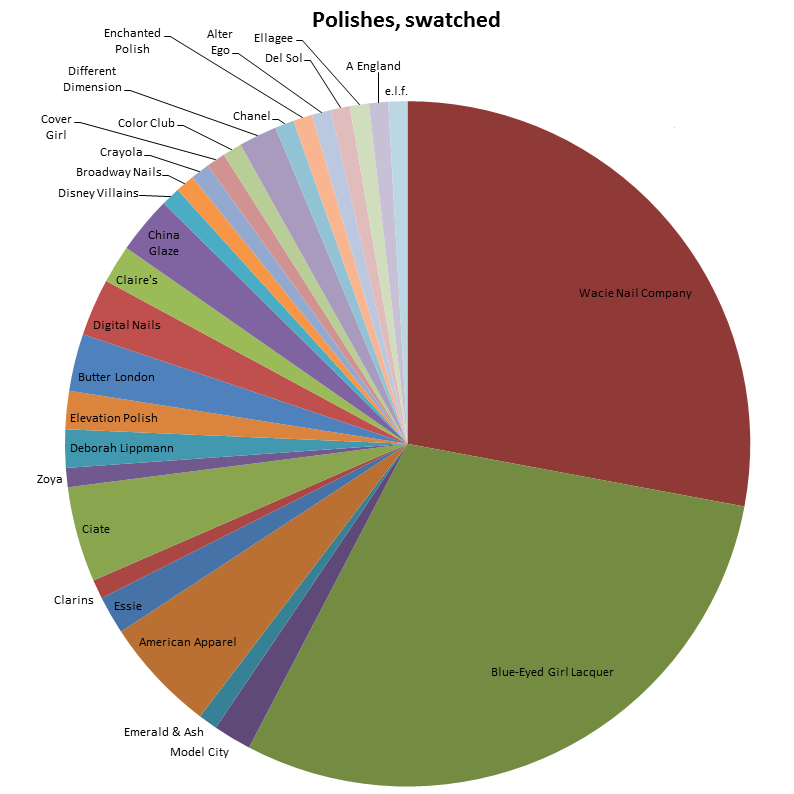 I have 617 bottles of polish. I’ve only used 133 on the blog. Before I started the blog, I had less than 200. 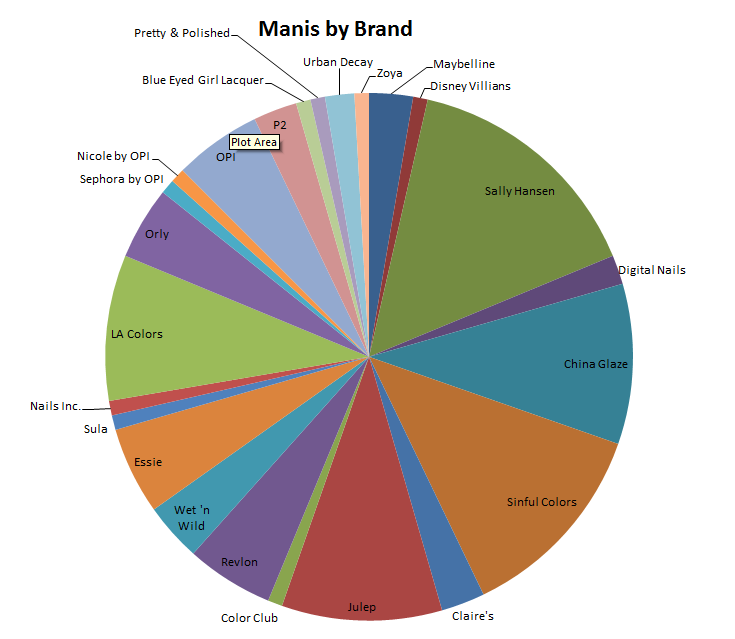 79% of my collection hasn’t been on the blog yet, and even fewer have been used at all. I have posted 74 manicures this year. The numbers this time around were small and a little boring, but next March, I think they’ll be a little more interesting, if you can say that about arbitrary nail polish blog stats. Whatever, I think it’s cool. Here’s to another year of wacie.com!